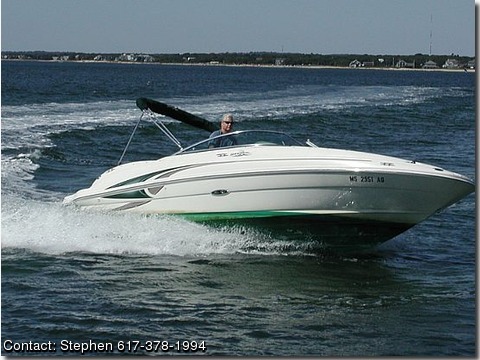 Great all around boat for wakeboarding, tubing, fishing, picnicking or just cruising. 23' 6". Enclosed head, bimini top, camper top, fore and aft showers, bow and aft ladders, extended swim platform. 260 HP 5.0 L Bravo III (2 props) w/ 200 hours. Lots of sun or shade seating.